How Many Naps Does Your Baby or Toddler Actually Need? Napping is a hot topic around The Baby Sleep Site®, and it’s no wonder: most of us count nap time as our favorite time of the day! Of course, naps are essential for the health and development of your baby, but don’t count yourself out — you need a little downtime during the day, too! And naps offer the perfect opportunity for you to get a little breather. All babies are different and your baby will develop at a different pace than other babies the same age. Even twins develop at a different pace, sometimes! Just like some babies will walk first and some babies talk first, the age at which your baby will transition to fewer naps will vary, too. Once your newborn has become more social, you may begin to have more napping challenges. You may also want more predictability in your day. This won’t come easily for some babies, depending on age, but you can begin focusing on getting your baby to nap better and get on a schedule, especially if your baby won’t nap at all. No naps or short naps can lead to fussiness (for you and baby!) and make it difficult for your baby to sleep through the night. How Many Naps Do Babies and Toddlers Need? 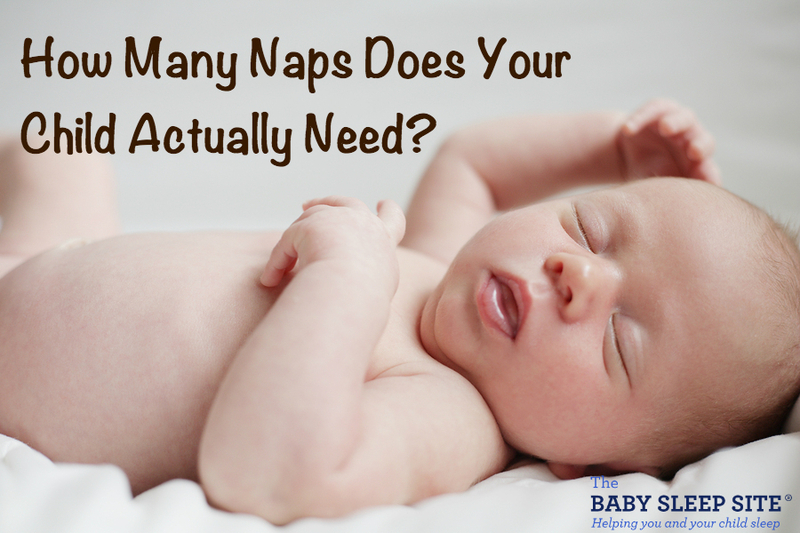 From 5-8 months, most babies will have three naps per day (though my son had four until after 7 months). They will start to resist the fourth nap, no matter how tired they are. There are a few babies who will only have two naps at a very young age, but those naps are usually long. Remember, these are general guidelines and all babies are different. We have seen a few 10 month olds taking just one nap while others are taking three naps, still. Your baby’s sleep needs will vary. You should also know that a nap should be at least an hour to be considered restorative, except for any third or fourth nap of the day, which are almost always catnaps of about 30-45 minutes each. Don’t feel up to working on your baby or toddler’s nap challenges on your own? While our Members Area is great for DIY parents who prefer to tackle sleep challenges on their own, we know that other moms much prefer to go straight to one-on-one help. Well, good news – we offer that, and you can start getting the personal help you need TODAY! My Baby/Toddler Won’t Nap — Help! Short or non-existent baby naps can be so frustrating – but you don’t have to suffer through them! We have a ton of nap resources – and one of those nap resources is our free guide, 7 Common Napping Mistakes. Are you making any of these common nap mistakes? If so, they may be the cause of your baby’s non-napping. So download your free guide today, and start putting the tips to use as early as your baby’s next nap! Is your child a champion napper? A no-napper? Something in between? Share your story! My daughter is 5 months old and is sleeping well at night. She goes to sleep around 7pm and wakes around 6am, either sleeping all night or waking once for a feed. She usually has a sleep during the morning for about an hour and then one after lunch for around 1.5 hours. I struggle to get her to have a third nap and it is a real struggle for her to last from around half 2/3 until bedtime. Do you have any advice? I hope this helps but if you need anything else, please let us know! My 2 month old Sleeps through the night about 8 hours. During the day she will take little cat naps anywhere from 15 minutes to 30 minutes. Is this normal since she is sleeping through the night? @Jennifer – Thank you for reading and for sharing with us. Short and erratic naps are definitely very common for a 2 month old baby! 8 hours of sleep at night sounds heavenly though! 🙂 Do keep reading and sharing, Jennifer! Really awesome blog. Informative and helpful.Thanks for sharing. Hi @Geetanjali – Thank you for visiting us! We hope that you continue to find our information helpful and informative! Thanks for reading! I run a day care. I have a parent that wants us to put there 9 month old down for a nap every 2 hours from the time she wakes up. She gets up at 6 and we put her down at 930 and again at 1. She takes about a 45 minute nap in the morning and a 1.5 to 2 hours at her second nap. She does not fuss and is in a great mood most of the time. She does not act tired at all. What can I tell her parents? They want us to put her down and say they are worried about her health since we don’t give her enough rest. My little boy (7 mo old) usually takes 2-3 naps depending on how long he sleeps. He regularly goes to bed around 7 and wakes up at 7 and at night nurses 1-2 times on good nights but sometimes every 3 hours. I have noticed however when he takes 3 short naps (30-45 minutes), he sleeps better at night than when he takes 2 longer naps (1-2.5 hours. Why would this be? Any ideas? I usually hear that good sleep begets good sleep so this seems backwards. I hope this helps, Kayla. Please do keep reading and commenting!